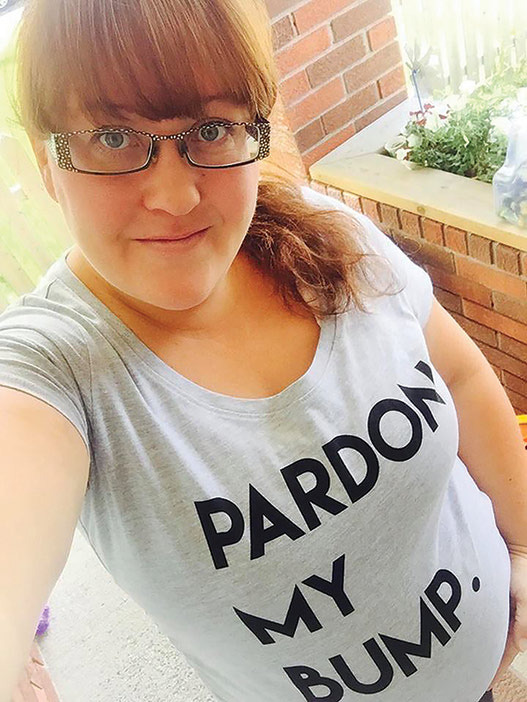 Surrogacy isn’t about giving a baby away, it’s about giving a baby back says Christine Villeneuve who is soon moving to Exeter to work for Angela Pickering-Peeters who runs Canadian Surrogacy Services. Herself a surrogate, Angela expands on the vision of surrogacy as a way to expanding and creating family. She experienced this herself when she gave birth to a baby boy, Luca, in 2013 for a gay couple in London. The IP fathers sourced eggs from an egg donor clinic, fertilized with their sperm and the eggs were “grown” in a clinic before being frozen is readiness for transfer into a surrogate, which was Angela. Two years later, Angela was a surrogate for Luca’s brother, Nico. These connections are what make surrogacy a beautiful thing, she believes. Angela is now preparing to be a surrogate for a third time with a new couple while parenting her own four and running the rapidly expanding surrogacy centre she started in March of 2016. Angela remembers thinking, “whaaaat” and asked her all sorts of questions. After Luca and Nico, Angela took the dream a step further. Through the process, Angela gained insight into the medical, legal, emotional and relational sides of surrogacy. With this knowledge and encouragement from her IPs who told her she had a “kind heart” and should look into creating her own program, Angela did just that. Her first year was part-time and she held down a side job to pay bills. Then in March 2016, she went full-time with a surrogacy service she believes is the mostly tightly-screened, relationship-focussed, surrogacy service in Canada. In Canada, surrogacy is legal as an altruistic choice. Surrogates cannot be paid in Canada. Only surrogate-related expenses (maternity clothes, vitamins, groceries, travel expenses, IVF medication, etc.) can be covered and they are capped at $30,000. If a surrogate goes private and accepts payment, it is a criminal act in Canada. Any potential surrogate who is looking to make money, or who hasn’t had her own children, or who doesn’t have the support of her partner is not accepted as a surrogate by Angela’s agency. Ethics are critical to Angela. 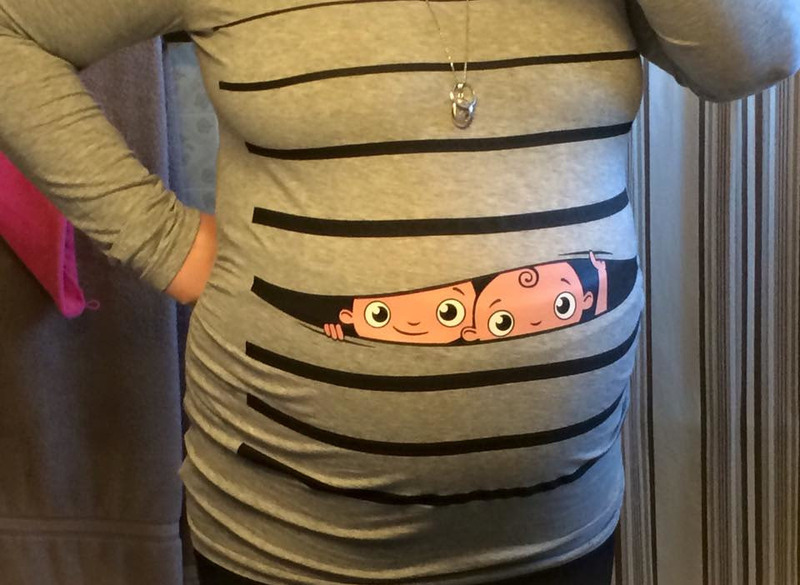 She only deals with gestational surrogacy so that the surrogates aren’t using their own eggs. Everything must be above board. Surrogacy is not for everyone. It’s for women who believe in the process and in finding the right fit for surrogate and IPs. Applicants – both surrogates and IPs – go through psychological and medical assessments. Socio-economic positions also matter. Women dependent on social assistance are not accepted as surrogates by her agency. “A woman needs to be able to take care of herself before she can take care of a baby,” says Angela. A potential surrogates current health status and past pregnancies are examined. Any dangerous precondition such an pre-eclampsia rules a potential surrogate out. Ultrasounds and sonic histograms are taken to ensure the health of the uterus. A meeting takes place with the husband or partner to make sure he understands and agrees to the process. “Some men need to hear me say that their partner will be supported and she will not be put at risk,” says Angela. Angela charges a $2,500 fee up front to screen, profile and support surrogates. An additional $6-10 thousand is generally required for the years of personal support, paperwork and other services Angela provides. As to the match, that’s between the IPs and the surrogates, based on profiles Angela has created. “How do they know who to choose? It’s about what they know of each other and it’s also a feeling....a click, an energy that begins a relationship that builds. This is so important because that relationship may need to carry them through a failed transfer, or a miscarriage,” says Angela. Since opening, Angela has had six surrogacy births in two years, one being a set of twins. Five surrogates are pregnant now and 14 matches are in process. Twenty-three couples are waiting for matches. “It’s so busy...I could take 10 to 15 IPs per month,” says Angela. She’s had agencies in Spain, Israel and the United States that want to send her referrals. Christine couldn’t come soon enough. The part-time teacher from Timmins will move to Exeter in late spring. A surrogate herself, she birthed twins in the summer of 2017 for a Huron County couple. “I wanted to be a surrogate since I gave birth to my first daughter,” says Christine. “I had never experienced such emotion as when I gave birth to her. As I looked at her, I kept thinking ‘I can’t imagine anyone being denied this love’. I had such deep empathy for women who struggle with fertility,” says Christine. Wisely, Christine chose to finish having her own family first. 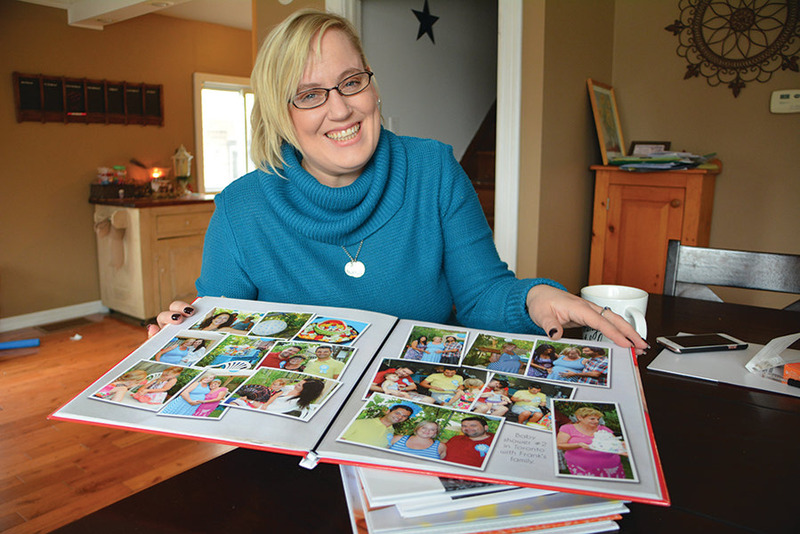 Her last child was born in 2011 and Christine became a surrogate in 2012. “We got pregnant on our first try and then had a miscarriage at 12 weeks. Then we tried again and I got pregnant with twins who were born by caesarean in 2015, full-term,” remembers Christine. Despite living nine hours away from the IPs, Christine sees the twins regularly. They call her their Aunt out of respect. There is no genetic connection. Her second surrogate experience had complications. It took three transfer attempts before Christine became pregnant. Then, Christine developed a uterine infection after a successful transfer and the baby was born premature at 28 weeks. It was scary time but the baby is now completely healthy. When asked how people respond when they learn she is a surrogate, Christine says most people think it’s amazing. “People will say they’ve never met a surrogate before and think it’s a miracle I can do this. A lot of them add that they don’t think they could ever do it and I agree...it takes a special breed of women to be surrogates,” says Christine. Sometimes, the response is worry as people question how she could give a baby away. Children seem to instinctively understand the value of surrogacy, says Christine. Angela’s policy is that surrogacy involves the whole family. The children of surrogates meet the IPs, the baby, and understand the process. Angela says her children go to her births, are part of the business and understand when mom has to be on the phone to support the surrogates. Both Christine and Angela are awaiting transfer dates for their third surrogacy matches with IPs. It’s a time of taking hormone pills and shots to prepare their bodies for pregnancy. Angela cannot wait. She says it is the most remarkable experience.